Marketlend offers a safe, fast, and effective marketplace platform to manage peer-to-peer lending for the lender, but most importantly, the customer. 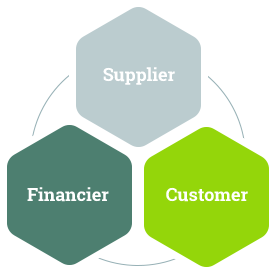 Supply Chain finance, also known as Reverse Factoring, is a set of technology-based business and finance solutions that optimises cash flow through allowing businesses to lengthen their payment terms to their suppliers. Supply Chain Finance optimises how the working capital and liquidity is managed within the supply chain processes. 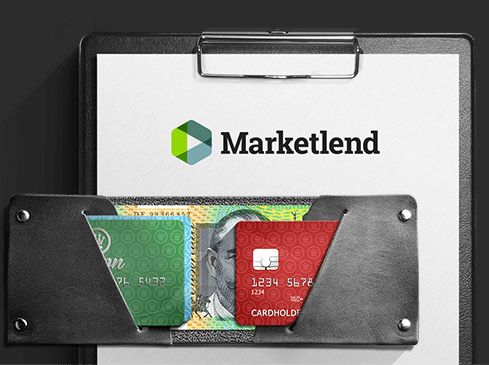 Marketlend helps connect Australians with trusted investment lenders in a secure online environment. Who needs Supply Chain Finance? Supply Chain Finance is valuable to businesses of all sizes and credit ratings. It is most popular with industries such as Automotive, Manufacturing, and Retail, who all have more complex supply chains. Supply Chain Finance works best when the buyer has a better credit rating than their seller as they can access capital at a lower cost, and leverage their advantage for better terms like receiving an extension of the payment terms. However this is not necessary, and using Marketlend to pay the invoices can improve the buyer relationship with the seller as the payment is made on time and enables the buyer to seek discounts for timely payment. *The calculation of Monthly Repayment and Total Amount payable is based on a 97% likelihood of repayment risk assessment, and interest only payments. Marketlend is a fast, transparent, and agile marketplace lender connecting retail investors with small businesses. The wide spread of different businesses available to invest in make it an attractive playground for investors, whilst the direct connection with investors cuts out alot of the red tape for businesses that want to raise capital. 5 stars! Using Marketlend you are able to apply for Supply Chain Finance, which a progressive cash flow solution to quickly increase your cashflow, reduce your administration and alleviate your financing worries. Here at Marketlend, we offer quick and easy peer-to-peer lending so you don’t have to stress about dealing with big banks, and financial institutions. You can bypass them and go directly to the investors (lenders) who lend to them. Marketlend understands that globalisation has dispersed supply chains internationally, with production relocated to emerging markets and to become more cost effective. With this comes points of strain, as businesses are now more at risk from their reliance on critical third parties within their increasingly complex supply chains, and rely on having enough working capital to sustain their day-to-day operating liquidity. All lenders, and affiliated parties must register with Marketlend, and be approved so they are verified as a secure lender. That’s why Australians now have a quick, easy, and reliable platform to access extra funds without worrying about big financial institutions! Supply Chain Finance is not a loan, but an extension of the Accounts Payable of the buyer, therefore is not classified as financial debt. Marketlend uses only the most advanced technologies to track and control each event within the supply chain, and to manage each process within peer-to-peer lending.